This article is about the given name. For other uses, see Otto (disambiguation). Otto is a masculine German given name and a surname. It originates as an Old High German short form (variants Audo, Odo, Udo) of Germanic names beginning in aud-, an element meaning "wealth, prosperity". The name is recorded from the 7th century (Odo, son of Uro, courtier of Sigebert III). It was the name of three 10th-century German kings, the first of whom was Otto I the Great, the first Holy Roman Emperor, founder of the Ottonian dynasty. The Gothic form of the prefix was auda- (as in e.g. Audaþius), the Anglo-Saxon form was ead- (as in e.g. Eadmund), the Old Norse form was auð-. The given name Otis arose from an English surname, which was in turn derived from Ode, a variant form of Odo, Otto. 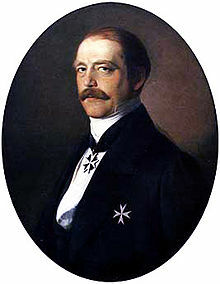 Due to Otto von Bismarck, the given name Otto was strongly associated with the German Empire in the later 19th century. It was comparatively frequently given in the United States (presumably in German American families) during the 1880s to 1890s, remaining in the top 100 most popular masculine given names in the US throughout 1880–1898, but its popularity decreased significantly after 1900 with increasing anti-German sentiment leading up to World War I; it fell below rank 200 in 1919, below rank 500 in 1947, and below rank 1000 in 1975; it re-entered the top-1000 most popular given names in the US only in the 2010s, ranking 696th as of 2013. Otto, meaning "wealth" is unrelated to the Turkish/Mongolian/Asiatic root "Atta" meaning "father." Otto Wichterle (1913-1998), Czech chemist, best known for his invention of modern soft contact lenses. Herr Otto Flick, a character in the BBC sitcom 'Allo 'Allo! Otto Sump, a character in Judge Dredd Stories from the British comic 2000ad cir 1977 > still in production. Otto, the inflatable autopilot in the 1980 comedy film Airplane!, also a homonym for "auto"
^ "Otto - Französisch-Übersetzung - Langenscheidt Deutsch-Französisch Wörterbuch" (in German and French). Langenscheidt. Retrieved 22 October 2018. ^ Förstemann, Altdeutsches Namenbuch (1856), s.v. "Aud" (161–180). Förstemann calls the element "excessively frequent" (Ein unendlich häufiger wortstamm). Spelling variants listed for the short form are: Audo, Auto, Oudo, Outo, Outho, Aoto, Aotto, Oato, Odo, Odda, Oddo, Oto, Otto (8th century), Otho, Ottho, Odto, Hodo, Hoto, Hotto, Hottho, Ootto, Ocdo, Octto. The surviving signatures of the Ottoian kings mostly read Otto, sometimes Odo or Oto. Listed as variants surviving into Modern High German are: Hoth, Hotho, Oette, Ott, Otte, Otto, Otho. The similarity of the Roman cognomen Otho is entirely coincidential. The spelling Otto is first recorded s.a. 744 in the charters of the Diocese of Constance (ed. Neugart, codex diplomaticus Alamanniae, 1791) and becomes increasingly common in the high medieval period. Look up Otto, otto, or -otto in Wiktionary, the free dictionary.